You need to find a partner to help you get this plan implemented. You will want a company that works WITH you to solve your problems. Your vendor should consider your company goals and put your best interest first in completing the project. The trouble is that it can be hard, in the beginning, to differentiate a good partner from a bad partner. So, here are some questions you may want to ask yourself before you make this tough decision? Now, if you've read the first two articles in our series, you’ve got a better grasp on what you need to change in your process and what the budget might look like to support those changes. So, what’s the next step? You need to find a partner to help you get this plan implemented. You will want a company that works WITH you to solve your problems. Your vendor should consider your company goals and put your best interest first in completing the project. The trouble is that it can be hard, in the beginning, to differentiate a good partner from a bad partner. So, here are some questions you may want to ask yourself before you make this tough decision? Do they have relevant past experience? If you are going to trust someone to partner with you to improve your manufacturing process you want to know they have experience in industries, products and processes similar to yours. 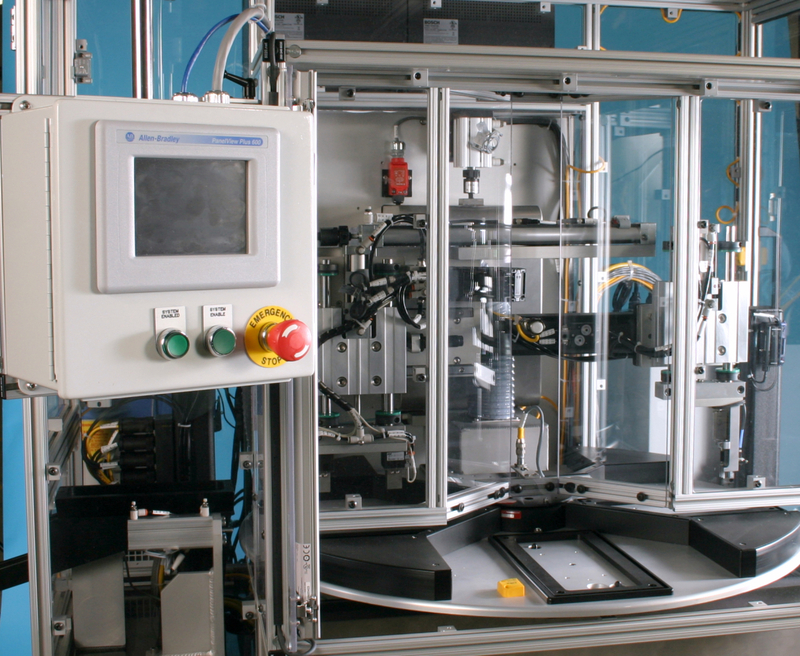 For example, if you have a complex medical device that requires delicate handling, complex functional testing or a validated process, you’ll want an equipment builder that navigates these tricky topics every day. Similarly, if you are in the automotive industry, you may need to find someone that is familiar with process monitoring requirements, lean manufacturing techniques, or error proofing that is so common in your industry. Will they partner with you through the entire process? No one knows your product and your process better than you. Someone working to design and build your equipment may have the relevant experience, but every product and process is unique in its needs and goals. A good partner will keep you involved throughout every step of the process. They’ll want to work WITH you on your design suggestions and changes along the way. This will give you flexibility in your partnership. You don’t want them to operate in a vacuum, and you don’t want to end up with a machine that doesn’t meet your needs. Are they focused on the solution? Deciding to change your manufacturing process is hard enough. It’s even harder when your equipment builder develops an approach that exceeds your needs and drives up the price. Ask yourself this question during the concept and design reviews, “Will this concept help us reach our goals for this project?” A good partner will work with you to get the right balance of design complexity, budget and delivery that fits your goals and solves the problems in your manufacturing process. Do they offer all their resources under one roof? Some equipment builders offer both engineering and manufacturing services, but they operate in different locations or are supplemented with external contract personnel. This can cause confusion, accountability problems and a longer turnaround for your project. A good partner will have a majority of their services under one roof. This will make your projects run smoothly and it will promote collaboration between you and your vendor’s resources. The commonality across multiple projects will make it easier for you and your supplier to support the equipment over time. This is also a big help when changes come into the picture. Instead of drawings being passed back and forth, manufacturing and engineering are all on the same team, in the same facility and can review the changes in person to get the best results for your project. If you need a replacement component, a supplier with the necessary resources in-house can turn this around and get you up and running again as quickly as possible. Do they have flexibility to adapt to changes along the way? Every project can require tweaking during and following the design phase. You should find a partner that can help you through these challenges with a process that is flexible enough to keep the project on track and detailed enough to be sure the changes are fully captured and integrated into the build in a way that minimizes the impact on delivery, and is reflected in the final documentation. A good partner will provide honest and timely communication as these changes develop during the project. This will allow you to quickly deal with issues as they arise and it will keep your project moving to meet your deadlines. Will they support your equipment after delivery? Whether it is building a whole line or a stand-alone machine, the real test is when the equipment is installed in your facility. The kind of equipment partner you are looking for will work with you to integrate the new equipment into your process and address any necessary changes and problems that may arise. You want a partner who offers you value for your investment, including the subsequent training and services required to ensure you are up and running successfully on your production floor. During the life of your equipment, you may need some questions answered, or you may want someone to help you when your line goes down and you don't understand why. Going for the cheapest solution may save you money up front, but don't forget how these other factors may affect the true cost of ownership. You will want service after delivery, and you will certainly need documentation including manuals and prints. In the long-run, you will be better served partnering with someone who will help you with these situations and includes them in the up-front costs for the equipment. It’s important to know what to look for when you are choosing a partner (not just a vendor) for designing and building the equipment to support your new and changing manufacturing environment. The biggest point we can stress is finding someone that is willing to work with you along the way. This will keep you in the loop for the entire process and set you up for success on this project and future projects. Hopefully, this list of questions leads you in the direction of a good partner who will work with you to develop the right solution for you and your company.